pssst! Have you heard about Mystery Science? If you teach elementary science, you need to check out this site! It's a new site that currently has lessons for grades 2-5 (lessons for K-1 are being piloted) and it's a fantastic resource! Today, I led my students through the lesson "Why do the stars change with the seasons?" I printed the activity materials needed beforehand - the Constellation Guide, a Universe in a Box template and a Circle sheet. Once your class is ready, you press the "Start Mystery" button and off you go. Doug narrates an engaging video about space and the constellations. The students then get to discuss what constellations shown on the screen (Doug even prompts, you, the teacher, to hand out the Constellation Guide! ), what season it is, and leads the class through several discussion questions. Next, there is another brief video about how the Earth revolves around the sun. Finally, the students get to make their own Universe in a Box. Doug shows them how to cut it out and put it together and the video pauses automatically and plays the demo in a loop until you're ready to move on to the next step. My students absolutely loved the lesson today and LOVED their Universe in a Box! 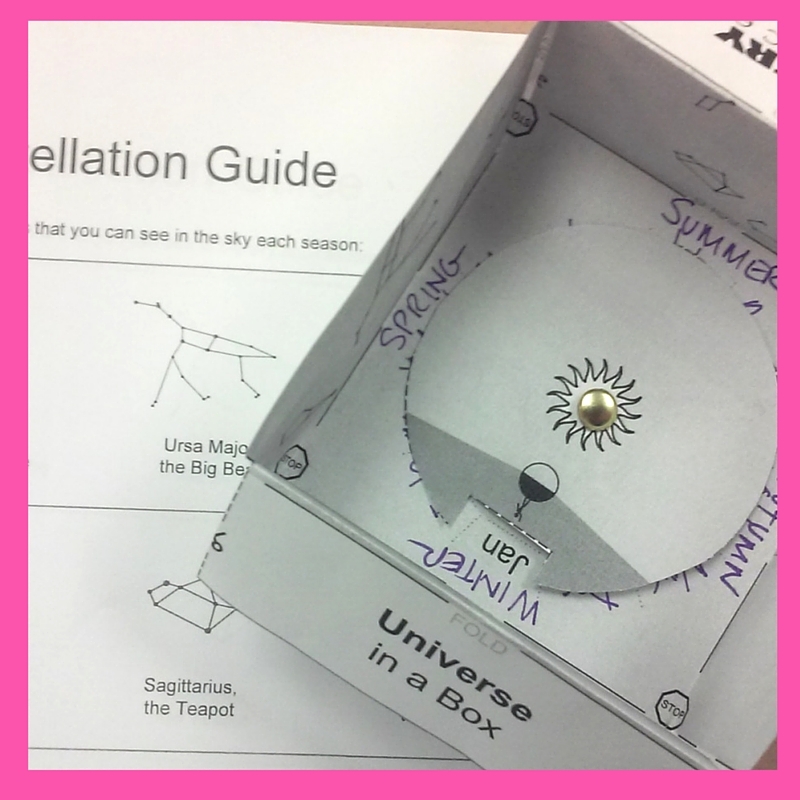 In the box, you spin the wheel to any month in the year and you can see what constellations are in the sky. Their homework was to go outside tonight and see what constellations they could find! They know to be looking for Orion! There are only several units available right now but more are being added all the time. It is a resource that I am planning to use when possible. We've also completed "Why does the sun rise and set", "What makes bridges so strong", and "What can magnets do?" They were all great and my students still talk about them (especially the magnet "tricks" they learned). Check it out here!